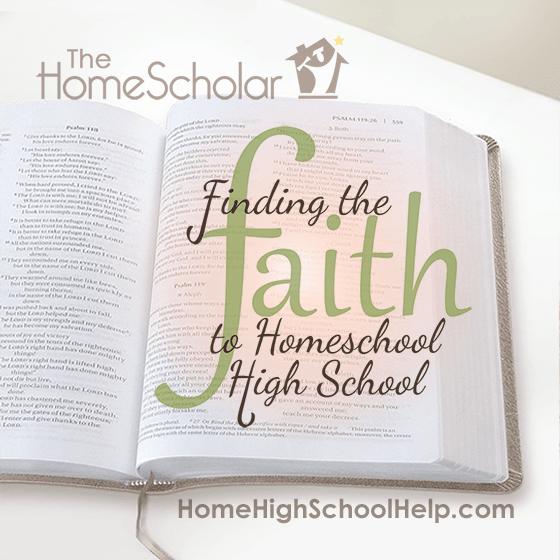 How do we find the faith to homeschool high school? When the laundry is piling up, the baby is crying, or a teen is having a fit over their math lesson, it's easy to forget the reasons we love to homeschool, or that it is our calling. Not every homeschool day feels like a gift! It can be challenging to "stay in the game," feel motivated, and keep going during certain times of the year, when things get tough. It’s during these times that we need a reminder that homeschooling is truly a gift. Even though our children aren’t perfect, our families aren’t perfect, and our homes aren’t perfect - even with all these imperfections - homeschooling can still be a gift. My husband and I struggled with homeschooling at times. Now, years later, we have forgotten many of the horrible days of homeschooling. What is left is the gift part. I do remember the times when our children refused to do their work, and I had to call my husband at work to intervene. I remember some of the attitude problems we faced. I remember the assignment one of my sons wrote in yellow pencil on white paper! I remember our two sons holding a competition on who could use the smallest printing for their essays. There were times I would turn my back on my children for a moment and they would disappear. Usually I found them distracted by the dog or playing with Legos. We had comic books such as Calvin and Hobbes and Garfield strewn all over the house, and sometimes I found one or both children with their noses buried in them. I remember that my home wasn’t perfect - I tried, and my friends thought I was tidy because I picked up before people visited. Nine days out of ten, there were stacks of laundry everywhere! There were days we couldn’t sit on the couch because there was so much laundry. My homeschool wasn’t perfect, but homeschooling was still a gift. Now that I am older, I look back and remember the gift but forget much of the pain. When we’re having a bad homeschool day, we can think about how it was with childbirth. We can look at homeschooling this way: we’re going through labor and at the end of the day, we will remember the gift, not the pain. Here are weekly devotions to help you through the month of January. I'm not a pastor or theologian, and I didn’t go to a Bible college. I’m not qualified to preach – I’m not a pastor’s wife! My qualifications for encouraging you with scripture are humble. I love my Bible. I love my quiet time. I love to meditate on God’s Word. I'm a Bible-reading mom with underlined verses to share and meditate on. I want to help you gain a refreshing perspective on homeschooling that will support and encourage you along the way. The numbers are growing. More than 2.1 million children are now being homeschooled in the United States. Studies have shown that homeschoolers have consistently higher test scores than their public and privately schooled counterparts. Homeschoolers score higher on tests regardless of gender, race, parental education, or state regulation. These studies can be a confidence booster, but there is a reason for you to be confident beyond statistics. You have more than statistics - you have God’s promises. You can be confident because of God’s unfailing love. My favorite phrase in the whole Bible is “loving kindness,” but I love it more when those words are combined into one big concept in one long word, “lovingkindness.” I was not raised by Christian parents, and that phrase stuck out for me in my first exposure to the Bible, as a description of what God is like, the perfect Father – perfectly loving, perfectly kind. Loving kindness speaks volumes about how the Lord feels about you. He loves you, cares for you, protects you, and will see you through these years of homeschooling. He is kind and gentle with you, helping you to become better people, parents, and educators. Take the phrase “loving kindness” and think about your children taking refuge under God’s wing with His loving kindness. That’s why you can be confident. He is going to see you through all these years of homeschooling. Hug your children often. Give them your own loving kindness. At the same time, know that God loves them more. You can take refuge in the love He has for your child. Psalm 139 is often used in pro-life circles to talk about the sanctity of life. God created your child, and whether you gave birth to your child or not, God put that child in your family - not randomly, but because you were chosen. Your child was made for your family and God knows exactly what He’s doing. There’s nothing you can do to mess up God’s plan. It’s easy to worry about messing up your children’s lives by using the wrong math curriculum or by choosing to homeschool. Whatever you choose, you simply can’t ruin your child forever. You can’t cause them to fail if they’re meant for greatness. Sometimes you can become overwhelmed and unsure. God knows about those times in advance. He knows you will be the best one to answer the challenge. Your anxiety encourages you to find answers to each new challenge. Before your child was born, their entire life was written in the Lord’s book and you can’t change it – you don’t have that kind of power. God already knows what your child will be doing twenty years from now. God is in control. Don’t feel bad about making mistakes – human beings make mistakes. No mistake will change what God has planned for your child. Don’t worry that you’ve ruined your child’s life with the wrong curriculum, simply change your curriculum and move on. If God asked you to carry out a miracle, would he step back to watch you fail? No. He would give you small, reasonable, doable steps. Taking it one step at a time is important. You can see an example of this in Jesus’ first miracle in the book of John, when He changes the water into wine. Jesus told the servants to do three things: fill the jars with water, draw some out, and take it to the master. He did not command the end result. He simply provided the steps for His servants. He is like that with you. If God told you to change water into wine, you would not know how. Sometimes as you’re homeschooling through high school, you’ll feel as if you’re being asked to change water into wine. Instead of thinking about the end result – the scholarships, college admission, graduation, or success at calculus – think about the step that’s right in front of you. Sometimes your task is to simply fill jars with water. Take that one step in reading, writing, or math, and work on the next step later. You don’t have to know what all the steps are in advance. All you need to know is the step right in front of you – just take one step at a time. What about gaps? You may worry that if you aren’t perfect homeschool parents, your children may have gaps in their education. The truth is that nobody is perfect, and everybody is lacking something in their education. In 1 Peter 4:8, the Bible says that love will cover any missteps. This is the scripture you can hold onto when you worry about gaps in your child’s education, because your love for your child will cover your “sins;” the love for your kids will cover the mistakes in your curriculum. Beyond that, God’s love for you will also cover the mistakes you make as you homeschool, and the love your child has for learning will cover missteps as well. God reassures you that your love for your child will cover any missteps that occur as you homeschool through high school. It’s going to be okay. Even when you don’t know much about homeschooling high school, you can figure out what you need to know in order to get it done, because of your love for your child. Sometimes this means seeking help and finding the answer somewhere else, but it’s love that motivates you to do a good job. One of the reasons homeschooling is so effective is because you have an inward control valve – you seek what will help launch your child successfully into the world. You see what needs to happen, the education your child needs in order to be a successful adult. You see things in your own child that other people don’t. Even when I’m giving parents advice, I believe that parents know more about their child than I do. You will make decisions that I wouldn’t make myself, because you know your children best. Much of what you teach your children is how to learn and how to find the answers. Even if you’ve forgotten to teach them cursive writing, for example, you’ve taught them how to find out how to do it themselves. Your love for your child covers any missteps that occur. God’s love for you will cover your sins. Your child’s love of learning can cover small issues along the way. Years from now, small problems will be imperceptible. 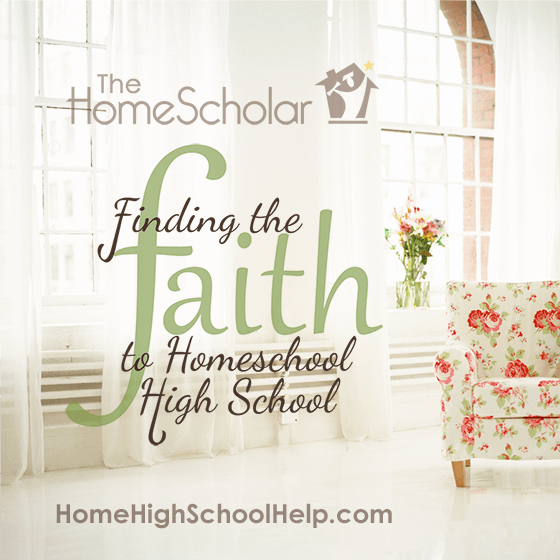 You CAN Find the Faith to Homeschool High School! You already have kids, curriculum, pens, and paper ... now you just need to find the faith! 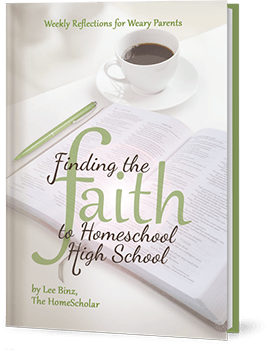 When you homeschool high school, sometimes the only thing separating success from failure is faith and a friend. Think of me as a friend, meeting over coffee, sharing our underlined verses with each other, exhorting one another. 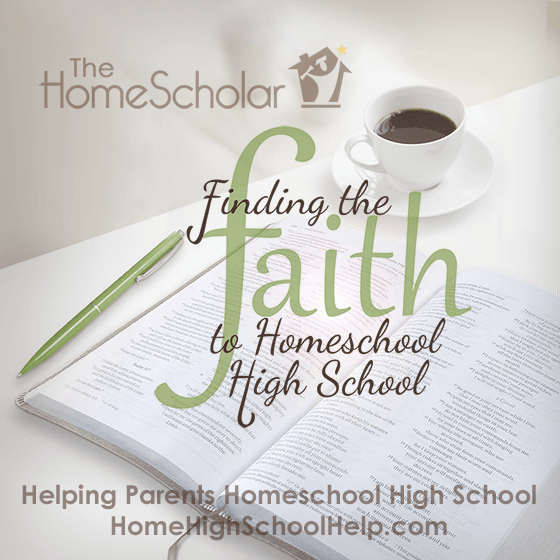 Read Finding the Faith to Homeschool High School: Weekly Reflections for Weary Parents. A collection of 52 weekly reflections for weary parents, this devotional covers the challenges parents face while homeschooling high school. Gain a refreshing perspective on homeschooling that will support and encourage you along the way, throughout the year. This book is dedicated to homeschool parents engaged in the challenging work of educating their children while meeting their many other needs. When they are hungry, you feed them. When they are thirsty, you give them drink. When they are naked, you clothe them. When they are sick, you care for them. You allow the little children to come to you and see Christ in you. I know you are giving your all and still may feel as if you are coming up short. You aren’t. You are parenting and homeschooling in the name of Christ, and that is enough. Homeschooling high school is the greatest educational gift you can give your children. They will be better prepared for college and for life because of the decision you made to give them this precious gift. For most parents, the greatest obstacle standing in the way of your decision to homeschool high school is a lack of confidence that you can do the job in a way that will give your children the preparation they deserve. The Gold Care Club will give you that confidence. 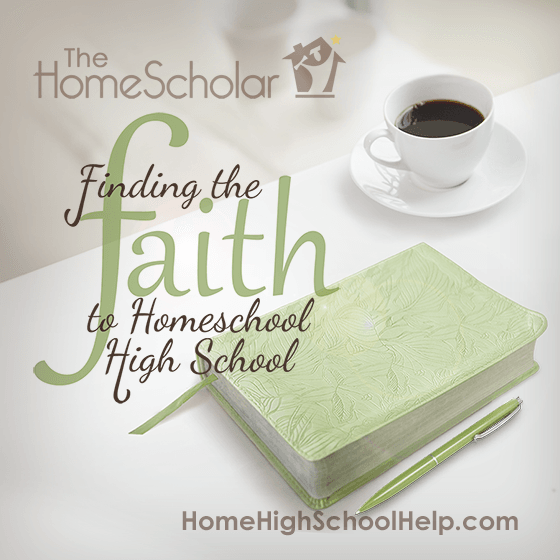 Homeschooling high school is a transformative experience in the life of a family. It strengthens family relationships, solidifies cherished values, locks down critical knowledge and refines a child’s character. Don’t let concern about your personal capabilities or your level of knowledge rob your family of these priceless gifts. The Gold Care Club is a complete homeschool high school online support system. It provides “How-To Training” for parents at every stage. In addition training videos, audios, tools and templates, members have the option for weekly consultations with Lee, during which time you can get answers to the questions that are unique to your situation. Lee also holds a free "members-only" live webinar each month to address the really tough questions. Copyright © 2016 The HomeScholar LLC, www.HomeHighSchoolHelp.com. Text may be reprinted without permission if used in full, except for use in a book or other publication for rent or for sale. Reprint must include this copyright, bio (below), and the original URL link (https://HomeHighSchoolHelp.com/finding-the-faith-to-homeschool-high-school.php).